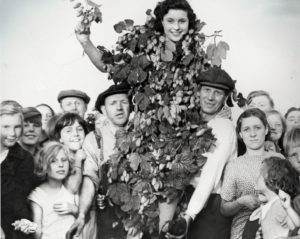 At its peak in the 19th century nearly a quarter of a million Londoners made the annual pilgrimage to Kent to pick hops. In this illustrated talk, award-winning author and journalist Melanie McGrath tells the stories of hoppers and uncovers some of the secrets of hops and hopping. Why are oasthouses round? What are ‘hop eye’ and ‘hop husbands’? McGrath, the daughter of a hop-picker, traces her roots back to seventeenth century Spitalfields weavers. She lives in Hackney. McGrath’s acclaimed memoir Hopping will be available to buy. All welcome, free talk. The talk will include a free beer tasting.